‘Humanz’ is the first album in seven years from Damon Albarn and Jamie Hewlett’s virtual band features an impressive array of guests including Danny Brown, De La Soul, D.R.A.M, Grace Jones, Mavis Staples, Pusha T, Vince Staples and Popcaan across its 19 tracks. The album sounds like a party record yet it’s lyrics paint a gloomier picture inpart inspired by the recent American election, although Albarn removed all explicit references so not to draw more attention to a man with whom he…differs in opinion. Each track on the album offers a platform for each guest to bring their own style into the mix alongside Albarn’s distinctive sounds which he has honed over more than 20 years. 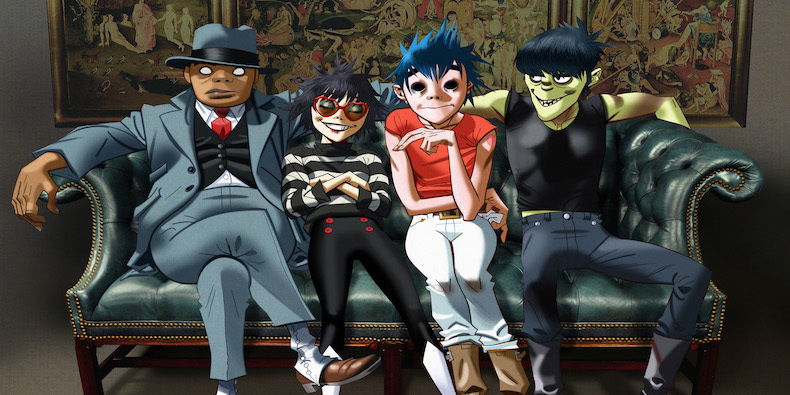 Alongside the album, Hewlett has created a number of multimediaelements to continue the story of Murdoc, Noodle, 2D and Russel Hobbs. This has included an animated short-film containing four of the albums track and a pop up shop in Brooklyn, Berlin and Amsterdam which recreates the Gorillaz world in physical form. The band have also announced ‘Demon Dayz’ festivals in the UK and America in support of the album although no line up has yet been released. Check out the video for Saturnz Barz ft. Popcaan below!